It is with great sadness and humble acceptance of God’s will, that we announce the death of Millicent Juma Oduor that occurred on 8th April 2019 while undergoing treatment at PCEA Kikuyu Hospital. Wife of the late Edward Oduor Mariko of East Yimbo, Ragak village. Daughter of the late Mzee Caleb Oluoch and the late Mama Paskalia Aloo of Hawinga, UgomaVillage. Daughter in law of the Late Mzee Joshua Anam and Late Mary Agutu. Mother of the late Lillian Achieng, Joshua Ouma, Caren Awuor, Jane Mary, Mark Otieno, Linet Akinyi, Dorcus Adhiambo, and foster mother of Joel Odhiambo. 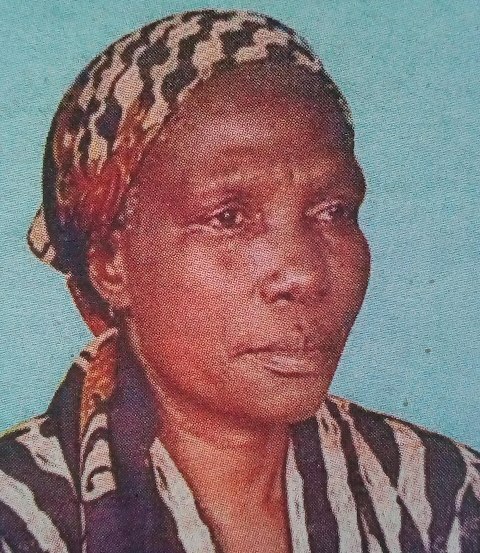 Sister of Boaz Odhiambo, Gaudencia Adongo, Lucas Oduor, Eveline Otieno, late Consolata Onyango and Irene Ochieng, Sister-in-law of the late Alice Mulumba, Judith Muruka, Late Dan Okongo, Late Lorna Awuor, Late Elizabeth Akello. Mother in law of Irene Ouma, Billy Obango, Agaton Abala, Moline Otieno, Gedion Okewe and Laura Muteshi. Grandmother of Albright, Alphine, Kevin, Mark, Ryan, Rollins, Riziki, Melanie, Natalie, Sasha, Edward and Jesse, Victor and Mina. 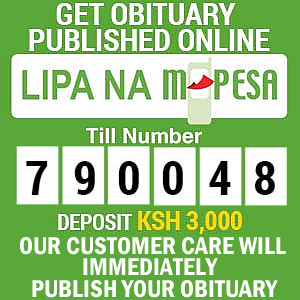 The cortege leaves Agakhan Hospital Mortuary Kisumu on 19th April 2019 and proceeds for Requiem Mass at St Peter’s Cathedral Church in Siaya. 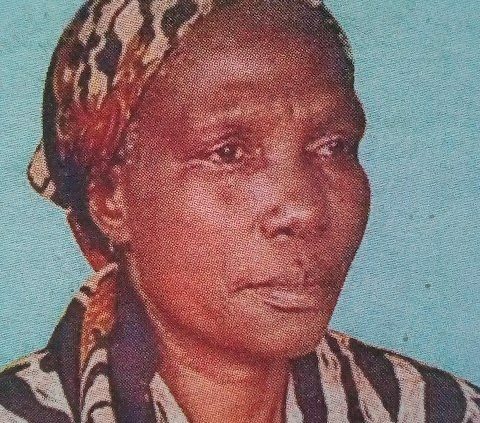 Burial will be held in her home in Siaya County, Anduro Village on 20th April 2019. You have fought a good fight. We Loved you but God loved you more. Rest in Peace Mum. Want to leave a Condolence Message?